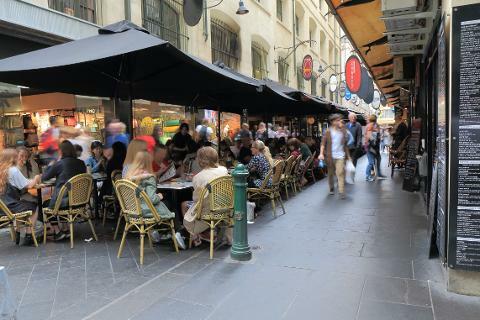 Welcome to Melbourne, a shopper’s paradise with an amazing array of cultural, retail and culinary experiences to offer. 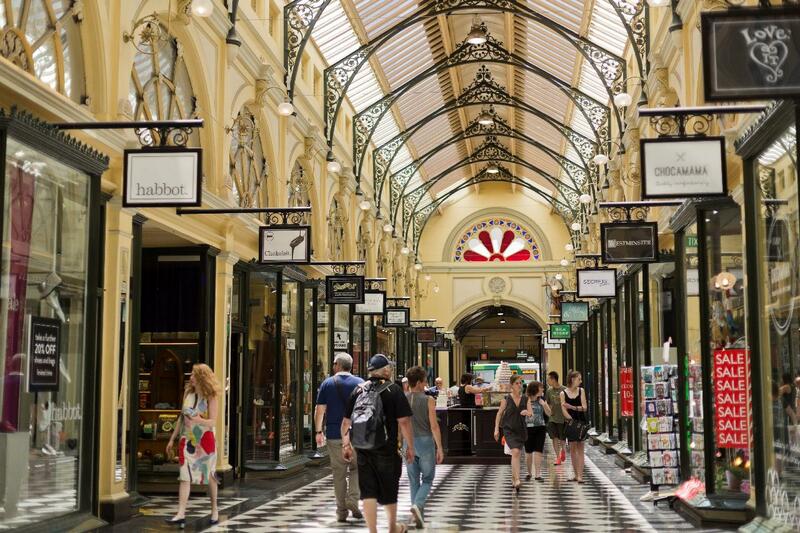 Explore Melbourne’s famous arcades and laneways on a walking tour with time to shop along the way. The 3-hour walking tour begins in the heart of Melbourne, at Brunetti's café in Flinders Lane. Your friendly and experienced tour guide will get to know the group, adapting the tour based on your interests. Guests will enjoy leaving behind the bustling streets of the city to discover historic arcades and art-lined laneways, home to unique, eclectic and independent stores specializing in locally-made products. Make the most out of the time you’ll have throughout the tour to browse and shop for gifts, clothing, jewellery, quality designer homewares, kitchen items, opals, products designed by local Aboriginal groups and genuine Australian Ugg Boots. Melbourne is famous for its vibrant food scene and tour participants are sure to be tempted by the delightful locally produced confectionary and chocolate on offer, particularly with the free samples included. There is the opportunity to buy Melbourne-themed sweet treats and gourmet foods. Discover the street art that Melbourne is so famous for, from giant murals to a small Banksy stencil tucked away in an obscure doorway. See some of Melbourne's most loved landmarks, cafés, architecture and other icons that make Melbourne truly special. Hear stories from when Melbourne was the richest city in the world and earned the name 'Marvellous Melbourne'! Whether you’re from Adelaide or Amsterdam, or even a Melbourne local looking to discover some of our city’s hidden secrets, Marvellous Melbourne has plenty to offer. Tour includes: 3-hour walking tour, food tastings, a fantastic local guide and plenty of time for shopping.